Microsoft Dynamics GP resellers are Microsoft partners dedicated to the sale and support of the enterprise resource planning solution (ERP) Microsoft Dynamics GP. These value-added resellers often add additional services or features to the platform based on the client’s needs. A Microsoft Dynamics GP reseller aims to save clients money and increase their productivity. Microsoft Dynamics GP helps buyers to gain control over their business’ finances, inventory, and operations. Sales, human resource, and finance departments can benefit the most from this platform. This tool is designed for small and mid-sized businesses as it can adapt as the buyer’s company grows. Businesses can turn to Microsoft Dynamics GP consulting firms for additional support. Microsoft Dynamics GP Resellers reviews by real, verified users. Find unbiased ratings on user satisfaction, features, and price based on the most reviews available anywhere. Alta Vista Technology is a premier ERP Consulting firm with over 250 years of combined experience and over 500 implementations. Specializing in Sage Intacct, Microsoft Dynamics GP, and Dynamics Business Central, Alta Vista also has a robust network of marketplace partners to create a complete accounting solution to fit any company. Accounting software is the specialty of Massey Consulting. Our consultants boast a wealth of practical field experience gained as controllers, accountants and information system professionals in a wide range of business environments. We are certified, recognized experts in each of the software solutions we offer. Our clients benefit from efficient, integrated software solutions that allow them to focus more on their business and less on their software. We often integrate front-end operations management systems with the back-end financial software, Intacct or Dynamics GP, to create a seamless business management tool. We believe that helping people get more time back in their day, by working smarter with fewer steps, will make them happier with their work and help their companies thrive in a competitive landscape. And, we recognize that even the smallest step forward can make a major impact. As a Microsoft Dynamics and Intacct partner, we serve over 300 clients – helping them to drive their business forward with solutions that help their accounting, reporting, HR, payroll, customer management, project management, distribution and inventory management systems. Specializing in working with mid-market companies, most clients come to us when they have “outgrown” their current solution, their needs are complex, and they are in various stages of growth. Whether you are growing organically or through acquisition, need to do more volume with less friction, or want to produce financial, sales and operational transactions at a faster pace, we can help! Maner Costerisan is a Sage Intacct & Microsoft Gold Certified Partner. Utilizing our in-house development team we specialize in eliminating duplicate data entry and bringing in detailed general ledger history when upgrading from QuickBooks or Dynamics GP. Blue Moon is a provider of ERP systems based on Microsoft Dynamics GP. JOVACO Solutions is a software development firm who specializes developing and implementing Enterprise Resource Planning solutions in a B2B environment. AKA Enterprise Solutions is a Gold Certified Microsoft Partner dedicated to the sales, consulting, service and support of Microsoft Dynamics ERP and CRM. Armanino LLP is an auditing and accounting firm that provides auditing and tax advisory services, valuation, litigation, SOX compliance, financial staffing, and transaction advisory services. Sikich LLP, a accounting, advisory, investment banking, technology and managed services firm, has more than 600 employees throughout the country. BKD, LLP, a top-tier U.S. CPA and advisory firm, helps people and businesses realize their goals. Boyer & Associates is an award-winning Microsoft solution provider, helping small and mid-size businesses throughout the Midwest implement and support cost-effective ERP financial management solutions. Brainsell Technologies focuses on proving how ERP and CRM software can make a measurable (and immeasurable) difference in customer retention, expansion of market share, and reductions in operational costs. Business Ready Solutions, LLC is a Microsoft Certified Partner with proven expertise in implementing and supporting Microsoft Dynamics GP accounting and ERP software. CAL Business Solutions is a firm that provides comprehensive financial and business management solution built on Microsoft technologies platform for managing and integrating finances, e-commerce, supply chain, manufacturing, project accounting, field service, customer relationships and human resources. We specialize in implementation, customization, training and support. Cargas Systems is an employee-owned business software and consulting company with more than 100 employees. We specialize in Cargas Energy, the most modern back-office software and mobile applications for fuel delivery and service companies. Cargas is also a preferred partner and reseller of Intacct® cloud accounting and Microsoft Dynamics™. When out-of-the-box software isn’t the right fit, Cargas develops custom software solutions for its clients. Established in 1988, Cargas fosters a unique culture of employee ownership, shared values, and a commitment to excellence. Cargas is known for its quality service and commitment to teamwork and has been named one of the Best Places to Work in PA for twelve years. For more information about Cargas Energy, visit cargas.com. Collins Computing is the largest Acumatic Gold Certified Partner based in Southern California. Complete Business Solutions provids Microsoft-based ERP and CRM business and accounting software solutions, services and support for businesses in Florida. Complete Software is a Microsoft Partner and Value Added Reseller (VAR) for Microsoft Dynamics GP 2010 and Microsoft Dynamics SL. Crestwood Associates, a Microsoft Dynamics Gold Certified Partner and 9-Time Microsoft Presidents Club member, as well as an Acumatica Gold Certified Partner, and Greentree Partner, brings your company the knowledge and experience it needs to implement, maintain, and update your small to medium business solution. D1 Technologies, is a SAP solutions-based business solutions and a provider of enterprise (ERP) business management software solutions in North America. DataSys Corporation is a Microsoft Certified Business Solutions Partner, specializing in the implementation of Microsoft Dynamics GP, Management Reporter, and related technologies. DFC Consultants offers sales, implementation and support of Microsoft Dynamics GP, Microsoft Dynamics CRM, Key2Act, Office 365 and DFC Property Management software. Diamond Municipal Solutions is a Microsoft Gold Partner and ISV of the year award winner with proven expertise in implementing and supporting ERP software to support municipalities across Canada. Emergence Corporation offers enterprise resource planning and business management solutions. Encore Business Solutions is the largest provider of Microsoft Dynamics and Microsoft Cloud solutions in Canada and the Pacific Northwest. Encore's team consists of well over a hundred solution specialists that have delivered on more than a thousand client projects. Services offered by Encore include systems integration, systems configuration, custom development, project management, change management, and IT strategy consulting - focusing specifically on all things Microsoft. FMT is a seasoned provider of integrated business solutions and information technology services throughout the US and Canada with a significant presence in San Diego County, Los Angeles County, and Orange County. Frank, Rimerman + Co. LLP provides a dynamic range of accounting services to individuals and businesses in a wide range of industries to achieve their personal or strategic goals. 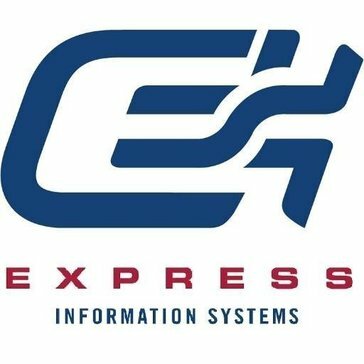 Infinity Computer Systems is a technology solutions and services firm specializing in business accounting software, ERP, CRM and Cloud solutions. Infinity helps businesses of all sizes solve their business challenges through strategic consulting services, industry-specific software and optimization techniques built on the latest technologies. Founded in 1989, Infinity Computer Systems is a technology and services firm specializing in business applications and Cloud solutions. We help businesses of all sizes solve their business challenges through strategic consulting services, industry-specific software and optimization techniques built on the latest technologies. Infinity’s solutions are easy to use and provide our customers with a technological advantage over the competition. Infinity Computer Systems provides affordable business computer solutions based on industry standard technologies. The firm specializes in Microsoft Dynamics GP (formerly Great Plains Software) and Microsoft Retail Management Systems. Our Master Certified Team is dedicated to building seamless integrations of the systems and applications you use to run your business. The Team sees every project through to successful completion. Infinity continually invests in training and development of our Team members to continually enhance service delivery, project management and timely support – producing measurable, cost saving results for our customers. Infinity Computer Systems was built on a foundation of innovation, creativity and partnership. We strive to maintain a culture of open communication, engagement, and shared values. Our Team is dedicated to continuous improvement, exceeding expectations, and building lasting partnerships with customers, business partners, fellow Team members and the greater community Our customers know they can trust Infinity Computer Systems to help them leverage the latest Cloud technologies, improve operations, conserve resources and manage growth. We offer innovative Cloud solutions and services in the areas of business and technology consulting, customer engagement, finance and operations and human resources asset management. Intellitec Solutions is a Microsoft Dynamics and Intacct Partner strategically located along the influential business corridor between Washington and Philadelphia. 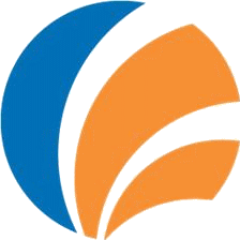 InterDyn Artis specializes in business software solutions that empower, engage, and educate. IES is a Microsoft Dynamics Gold certified partner. ITCC provide planning, installation, and training on a number of software systems. JourneyTEAM is a Microsoft Gold Certified Partner specializing in Microsoft Dynamics ERP, CRM and SharePoint. Kianoff & Associates is a Microsoft Gold Certified partner and authorized reseller for Microsoft DynamicsTM GP, Sage 100, Sage 500, Sage CRM and Intacct. Kinsey & Kinsey are focused on helping clients automate, grow, and transform their organization through innovative IT consulting and development services. Who We Are Here at LBMC, we are known for our ability to listen carefully, present the most cost effective and appropriate technical solution, and to follow through with precision. Beyond that, our company values persistence, loyalty, and quality of service. We are problem solvers. We are business people. And we are technical consultants. We are LBMC Technology Solutions. The LBMC Difference While we use and deploy sophisticated technology solutions, we also take a down-to-earth approach and have a little fun, too. You could just say that we are geeks with personality. For 20 years, clients have come to LBMC Technology Solutions because of our integrity, depth and breadth of knowledge, and commitment to partner with our clients. We use our experience as business people and technology experts, coupled with the latest innovations, to provide customized solutions that work the way your business works. Put simply, we help you do better business by overcoming obstacles that prevent you from accomplishing your day-to-day responsibilities. Whether a project is large or small, we treat each one as an opportunity to earn your trust in order to build a relationship. Our Service Areas As one of the few full-service, turn-key, technology consulting firms in the country, LBMC Technology Solutions is uniquely positioned to provide all your high-tech needs. Our service areas include: Network Engineering/Administration Cloud Computing Remote Managed Services/IT Help Desk Business Software: ERP/Financial, CRM, and ECM Solutions Custom Software Development Business Intelligence Our Expertise At LBMC Technology Solutions, we have teams of certified consultants in every area of our business to assist you. We are a Microsoft Gold ERP (Enterprise Resource Planning) partner and a Silver CRM (Customer Resource Management), O365, and Server Platform partner, as well as a member of the Microsoft Presidents Club. We are an Intacct Premier Partner and multi-year recipient of the President’s Club designation. And we are a Hyland Silver and Diamond Support partner. With offices in Nashville, Knoxville, and Chattanooga, Tennessee, we service clients throughout the state and the Southeast, as well as nationally. The Bottom Line A comprehensive assessment of requirements, a strategic plan of action, seamless implementation, and responsive support ensure our clients do better business with the technology solutions we implement. Let LBMC Technology Solutions help you build the business you envision. Martin & Associates is a firm dedicated to delivering accounting, ERP and CRM solutions to our clients and alliances. MIBAR.net is a implementation partner and application consultant for the NetSuite, Microsoft Dynamics CRM and Microsoft Dynamics GP platforms. Micro Force - Socius is the premier Microsoft Gold certified Dynamics Partner for the New York City, tri-state region. MIG specializes in the implementation of accounting software and business management systems, helping our customers streamline their processes and maximize productivity. Award-winning business management software provider for ERP, CRM and BI. OmniVue is a certified GOLD Microsoft Dynamics Partner serving the Southeast US. OTT, Inc. is an award-winning Microsoft Dynamics and NetSuite business solutions partner focusing on CRM, ERP along with business analytics and integration services. PTC is a technology and services consultancy organization specializing in ERP business solutions. Premier Computing, Inc., a Gold Enterprise Resource Planning reseller, delivers business management (ERP) and Customer Relationship Management (CRM) solutions and services to growing mid-market businesses throughout the western United States. Hi there! Can I help you find the best Microsoft Dynamics GP Resellers solutions?